Protection, comfort, safety and sensitivity. Aurelia knows the features that are important to you and are pleased to offer a wide range of high-quality products that fit your laboratory needs perfectly. 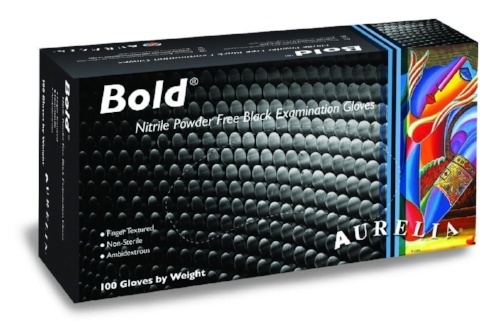 Aurelia Bold Black Nitrile Gloves are powder-free examination gloves that are made from 100% Nitrile. 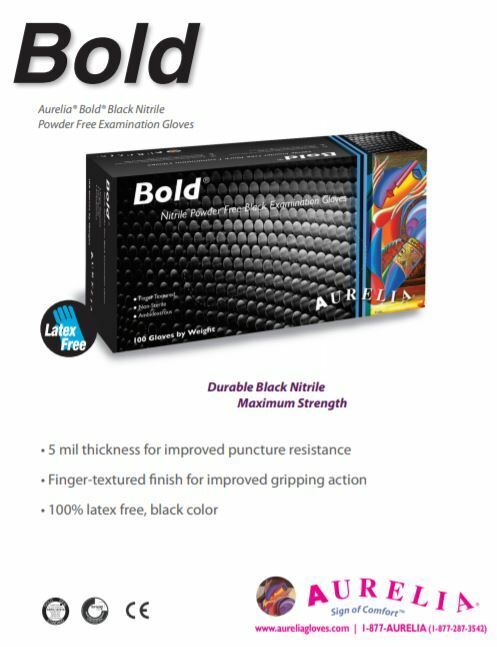 Aurelia Bold Black Nitrile Gloves are ambidextrous, black in color and packaged non-sterile. Aurelia Bold Black Nitrile Gloves conform to and are tested to the highest international standards as required in most modern laboratory environments. Every lab should have a scheduled monthly check of their inventory to make sure they have gloves available in all the sizes their team needs. Aurelia Bold Black Nitrile Gloves are powder-free gloves that are less messy and reduce the risk of contamination because they don’t leave residue on clothing or hands during or after use. Hypoallergenic nitrile gloves such as these Aurelia Bold Black Nitrile Gloves should be available for employees that have sensitivities to Latex, as per OSHA 2011a. Aurelia Bold Black Nitrile Gloves are one hundred percent latex free due to being made entirely from nitrile. They are packaged to be non-sterile, but can easily be rubbed in ethanol or your preferred sterilizer before carrying out your lab work. These gloves are designed to be ambidextrous, meaning that you do not have to be concerned with making sure you put a particular glove on the correct hand. These gloves are also fully textured to provide you with adequate grip, ensuring you don't drop valuable reagents, samples or equipment, and that you can easily open tubes and operate equipment. These gloves are black in color and designed for single use only, after which they should be disposed of responsibly. They have a thickness of 0.5 mL for tactile performance with adequate protection. All gloves are packaged to enhance single glove dispensing from the box, with 100 gloves per box and 10 boxes per case.